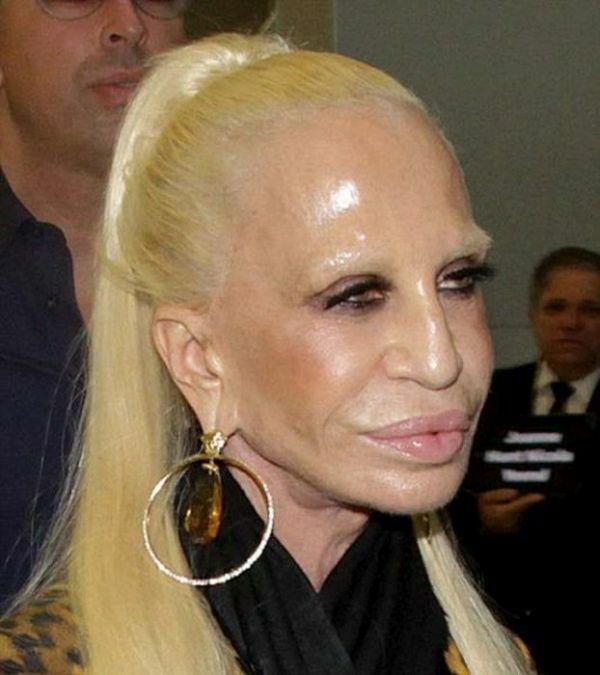 Donatella Versace has had way too much plastic surgery. She doesn't even look human anymore. But she is so bad that she couldn't possible get worse. So at least there's a tiny chance some more surgery would cause some improvement. So since the money means nothing to her, she might as well take the chance on it and hope for the best. Poor Granny. :02: ........... A good candidate for Horror movies. C'mon, all she needs is a little powder on her face to tamp down the shine, and then a paper bag over her head to save everyone's eyes.